Your wreath turned out beautifully! Taking advice from the Nester and beefing it up, I see! 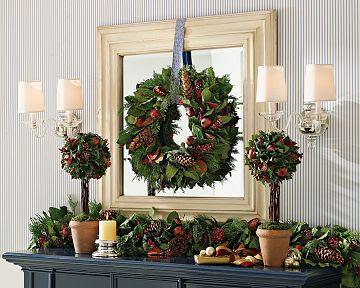 Love using a wreath in front of a mirror - also will look in the yard for real foliage to add to a fake one. No one ever knows - I enjoy reading your blog.